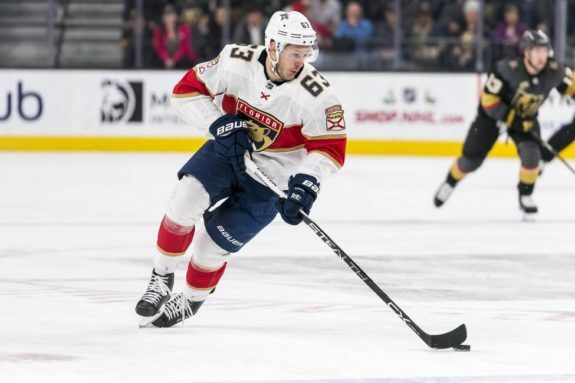 It is the Florida Panthers’ 25th anniversary season this year, throughout which there will be plenty of attention given to past franchise stars like Olli Jokinen and Ed Jovanovski. Before the season, however, is a good time to look back on all of the Panthers’ 26 entry drafts. They have hosted the event twice in their history, first in 2001 and then in 2015. We’ll see how they fared in each of those as well as the other 24 as we rank each year from 26 to 1. These rankings are subjective, but in determining which drafts were stronger than others, I considered a couple of different things. First, picks are evaluated based on the player’s career in hockey, not just with the Panthers. The goal of the draft is to find the best player– a bad trade does not disqualify a good selection. Additionally, some weight is given to later round picks that were able to have good NHL careers. It is more difficult to find and develop value in the fifth round than say, the first. A straightforward, quantifiable piece of data used to determine draft success is the total amount of games played from each year. Finally, I gave the most value to elite, high impact players that made a positive difference every game no matter their team or situation. You ever heard of this guy? That’s because he has just 14 games to his NHL career. He was the most successful of the Panthers’ eight draft picks this season, earning 2000 the worst and final spot on this list. McArdle had higher expectations than just 42 games of NHL experience as an enforcer with the Panthers, during which he recorded one goal and 51 penalty minutes. He spent the majority of his pro career between the AHL and ECHL until he retired in 2014. He was the lone Panthers draft pick from this summer to record NHL minutes. Jacob Markstrom was drafted with significant expectations to be the successor to goaltender, Tomas Vokoun, but he was never able to establish himself as much more than a backup. 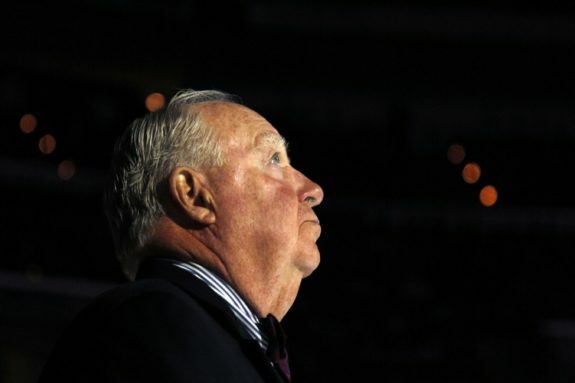 His lasting mark was left on the Panthers when they traded him as part of a package to Vancouver in exchange for Roberto Luongo. At 28 years old, last season was his first with a starter’s workload as he played in 60 games and posted a save percentage of 0.912. Matt Bartkowski has 253 games of experience mostly as a third-pair defenseman. His stat line is nothing special with 47 points and 157 penalty minutes, but good for the seventh-round pick to make a living playing hockey. 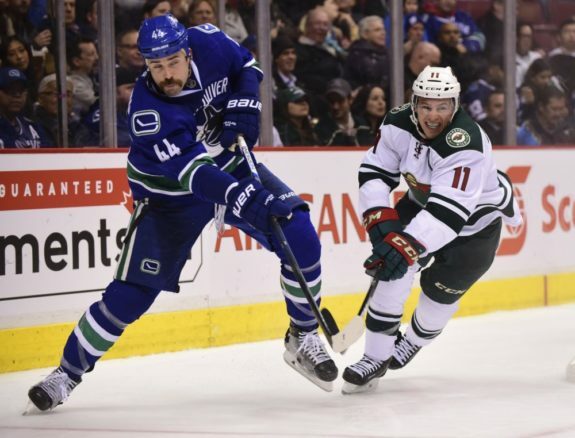 He spent his first five seasons as part of the Boston Bruins organization before getting bounced between the Canucks, Calgary Flames, and this year, the Minnesota Wild. 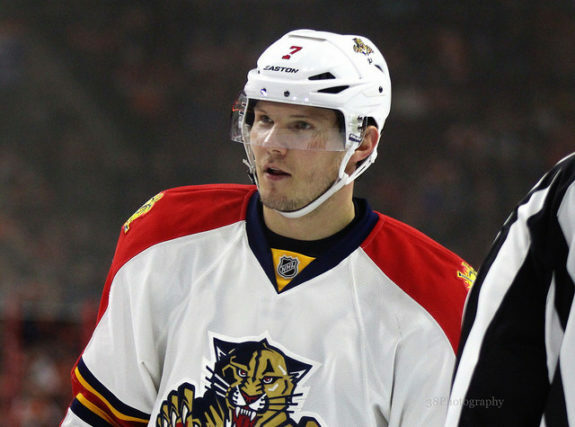 Kulikov, another first-round pick for the Panthers, came in with high expectations. He began his NHL career at 18 years old and spent the better part of his development on some of Florida’s most brutal teams. The first few seasons of his career were full of turnovers, but he’s since transformed into a reliable defenseman with a fantastic shot. 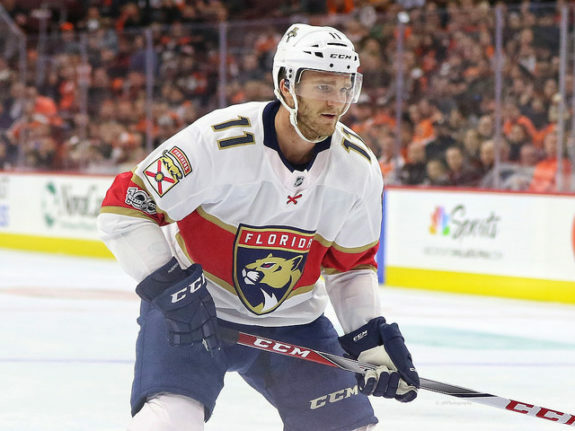 The Panthers traded him in 2016 in exchange for Mark Pysyk, and he signed his big free-agent contract last summer with the Winnipeg Jets, though he is still a fan favorite among many and spends the offseason training in South Florida. He’s totaled 33 goals and 154 points over his 569 game career. Drew Shore, a forward from Denver, Colorado, has spent the majority of his career in the AHL but he recorded 94 NHL games, mostly with the Panthers between 2012 and 2014. He had a successful AHL career, posting 140 points in 205 games and being named to the All-Star Team twice. In 2016, he moved to play in Switzerland’s National League, and that is where he remains today. The Panthers were on home ice for this one. In the midst of their rebuild coming to fruition, they excitedly selected power-forward Lawson Crouse at number 11 overall. Just 14 months later, he was traded to Arizona with Dave Bolland (and his contract) in exchange for two future draft picks. Crouse has recorded 13 points in 83 NHL contests but played well in the AHL for the majority of last season and still has promise at 21 years old. Canadian goaltender, Sam Montembeault was drafted in the third round out of the QMJHL as one of the better goalie prospects of this year. He completed his first professional season last year as a member of the Panthers AHL affiliate Springfield Thunderbirds with a save percentage of .896 and goals-against average of 3.25. We will wait to see if he can step in as Luongo steps out the door, but Montembeault remains the Panthers top prospect at the position. Denis Malgin is perhaps the Panthers best pick of the 2015 draft class. 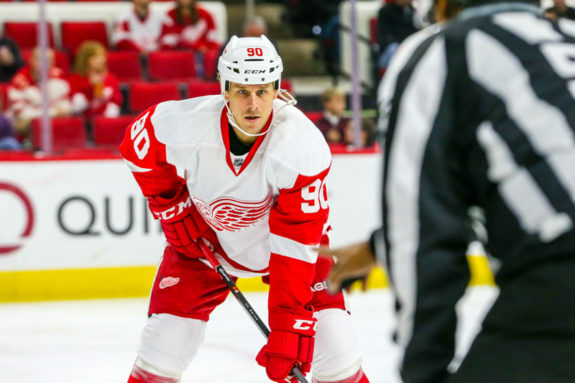 The 5-foot-9 Swiss forward unexpectedly forced his way onto the team out of training camp in 2016 and has spent the better part of the last two seasons up with the team. He’s played in 98 games so far, recording 32 points and receiving significant trust from coaches, earning minutes in all situations. Malgin should continue to be a front-runner for a bottom-six position with the Panthers this season. Huselius was one of the more popular and proficient scorers on the Panthers teams of the early 2000s before being traded to Calgary in December, 2005. He signed with the Columbus Blue Jackets as a free agent in the summer of 2008 and continued his success until his career was cut short by a groin injury in 2011. He failed to reach the 20-goal plateau just twice over the course of his nine year NHL career which concluded with 662 games played and 451 points. Novoseltsev was a serviceable Russian forward for the Panthers for a couple of seasons. He scored 13 and 29 points at his best in 2001-02. After the lockout in 2004-05, he was bounced between Russian leagues and the AHL until 2009. His NHL totals amass to 234 games played and 75 points. Keaton Ellerby is another first-round pick on a list of Panthers that never quite lived up to his draft hype. The gritty, stay-at-home defenseman could not find a regular role on the Panthers’ blue line (other than to turn the puck over) between 2009 and 2013. He finished his NHL career with the Winnipeg Jets in 2015, logging 212 games played and 27 points. Dadonov makes this draft particularly difficult to rank. He showed promise in his first two seasons with the team, scoring 20 points in 51 games before he left North America for the KHL in 2012. There, he flourished. The quick winger was named to the 2013 All-Star team and was an integral part of SKA St. Petersburg’s Gagarin Cup championships in 2015 and 2017. His KHL totals come to 311 games played and 240 points. Last summer, he re-signed with the team that drafted him and proved to be perhaps the offseason’s most valuable signing. Playing the entire year on Aleksander Barkov’s wing, he recorded 28 goals and 65 points in 74 games. For those numbers, he is signed to a reasonable contract at $4 million per season for the next two years, and at 29 years old, it certainly should not be his last. While Dadonov could feasibly complete his NHL career with over 500 games played and impressive scoring totals, he gets an asterisk as that has yet to occur. Right wing Denis Shvidki was never able to complete a full season in the NHL. He was bounced around the AHL posting respectable numbers before leaving for the Russian Elite League in 2004. His final NHL totals include 25 points in 76 games. Alex Auld enjoyed a 10-year career as a serviceable backup goaltender. He was part of Vancouver’s package back to Florida when they traded for Roberto Luongo in June of 2006, though he only appeared in 27 games for the Panthers. He played for eight different teams during his career, recording a .904 save percentage in 237 games. Finnish winger Niklas Hagman had a productive career with the versatility to play in almost any situation. He eclipsed 20 goals three times during his 10-year NHL career and played for five different teams, totaling 770 games and 301 points. He played five more successful years between Finland’s SM-Liiga and the KHL from 2012 to 2017. Nilson played in 521 games for the Panthers and Calgary Flames during his career, scoring 67 goals and 101 assists. He did a lot of intangible things effectively from the wing, which contributed to the amount of games he did play. After a down year in 2007-08, he left for Europe where he played for parts of eight more seasons. Coincidentally, left wing Oleg Kvasha enjoyed a comparable career to Nilson’s. He played in 493 NHL games and scored 217 points. It was he and Mark Parrish who were traded from the Panthers to the Islanders in 2000 in exchange for franchise stars Luongo and Olli Jokinen. He completed his professional career in his home country of Russia between 2006 and 2015. As the Panthers are loaded with forward prospects, Denisenko will have time to develop in his home country of Russia over the next year or two. He posted 44 points in 59 games for his major junior team in Russia over the last two seasons, and he is expected to make the jump to the KHL next year. 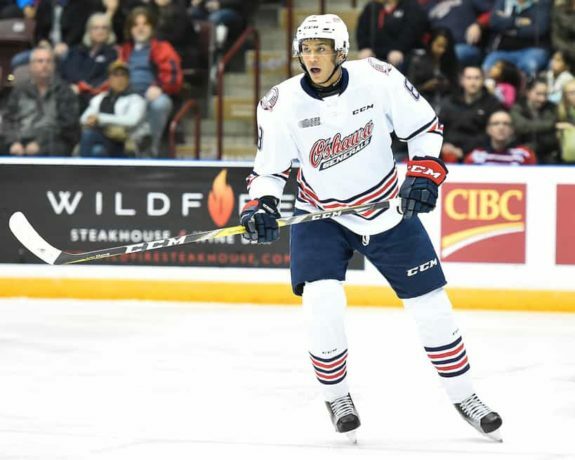 Serron Noel is a 6-foot-5 right winger from Ottawa who has spent the last two years playing for the Oshawa Generals of the Ontario Hockey League. He is a strong skater and puck-handler, which is rare for a young player of his stature. He logged 53 points in 62 games for Oshawa last season and was a strong net-front presence on their power play. He too will need some time to develop his game and fill out his frame, but he’s expected to become an effective NHL forward. Logan Hutsko is a unique story of skill and perseverance. He suffered two major injuries during his two years with USA Hockey’s National Team Development Program. First, a career-threatening neck fracture while practicing faceoffs during pregame warm-ups. The second was a knee injury after a hit against Boston University. His name went uncalled in his first draft-eligible year. Committed to Boston College, he decided to stick with hockey and ended up leading the Eagles in scoring as a freshman. He gradually moved from the fourth line to the first, ending the season with 31 points in 37 games. If he can get stronger and stay healthy, the shifty winger has the puck skills to beat all odds and succeed at the NHL level. Defenseman Joe DiPenta played in 174 NHL contests in parts of four seasons totaling 23 points. He also played in 32 postseason games and was part of Anaheim’s 2007 Stanley Cup team. Most of his success came at the AHL level, competing in 504 games over seven seasons. In 209 games, defenseman Lance Ward managed to accrue just 16 points but 391 penalty minutes. Ward was not afraid to drop the gloves. Originally drafted by New Jersey in 1996, he re-entered in 1998 when he could not come to a contract agreement. He played two and a half seasons with the Panthers before being traded to the Ducks in January, 2003. The real value from this draft came in the form of Czech defenseman, Jaroslav Spacek. He played the first three seasons of his 13 year career with the Panthers. He totaled 880 games, 355 points, and 618 penalty minutes over seven different teams. Tippett, a sharp-shooting winger from Mississauga of the OHL, will be given every opportunity to make the Panthers’ roster out of training camp next month. Few rival his scoring touch. On a team of playmakers, his finishing ability is just what the Panthers might need to get over the edge. He’s proven just about all he can in Mississauga, logging 75 points in each of his last two seasons, and at 6-foot-1 and 200 pounds, he has the size to play against NHL men. Listed at 5-foot-9 and 147 pounds, Heponiemi was one of the most undersized selections of his draft class. Last season, the center led his Swift Current Broncos and the Western Hockey League in scoring with 118 points including 90 assists. As you might guess, his vision and playmaking abilities are elite. 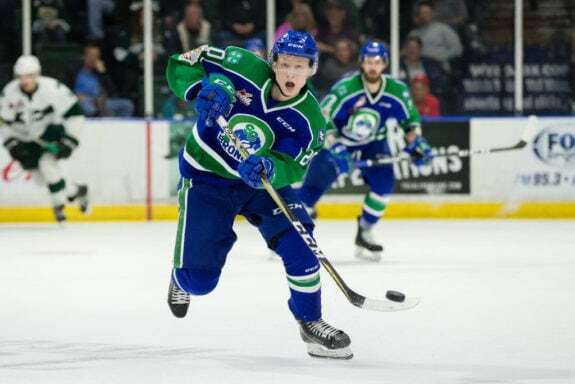 He recently signed a two-year contract to return to his home of Finland to play for Karpat of SM-Liiga where he’ll spend time bulking up and rounding out his game. Gildon is a defenseman that has impressed at the Panthers past two development camps. He skates very well for his size and is entering his second season at the University of New Hampshire. Against college competition, his offensive instincts and point shot stand out. While his path to the NHL may be a longer one, keep an eye on Gildon to keep the internal defense competition interesting. Repo was a sleeper candidate to make the team out of training camp last season and he had another strong development camp in South Florida this past June. He is another part of the conglomerate of Finnish forwards the Panthers have drafted over the last few seasons. In the past two years, he has recorded 58 points in 96 games for Tappara Tampere of Finland’s SM-Liiga, the same program from which Aleksander Barkov was drafted. As the Panthers struggled to ever make the postseason, Frolik was another of one Florida’s high first-round picks. He has earned himself the strong reputation of a speedy third-line winger with exceptional penalty killing abilities, the versatility to move up and down a lineup, and the reliability to stay healthy through the majority of his career. He has totaled 336 points in 728 NHL games thus far, and at just 30 years old, he should have at least a few more seasons of productivity left in the tank. Matheson, a Canadian defenseman from Boston College is entering his third season as a Panthers regular. Last year, he looked much more comfortable using his speed to create offense and recorded 27 points. He skates just as well backwards as he does forward. With just 165 games played, he could still improve on his defensive decision-making and risk management. 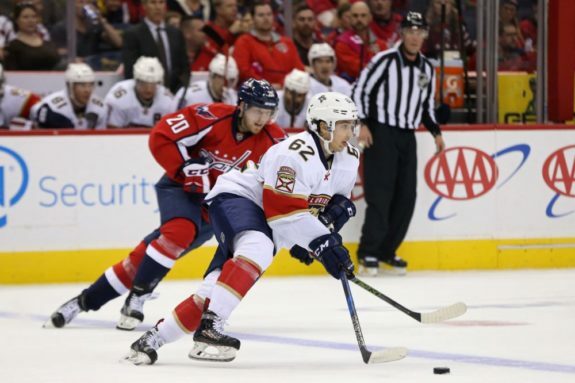 It cost the Panthers some goals last season, but they are fixable flaws. Matheson is just 24 years old, and with some experience, he has the potential to surpass Aaron Ekblad as Florida’s best defenseman. You might recognize the name Borgstrom from last year’s college hockey highlight reel. He is perhaps the Panthers’ best prospect right now and on a tear toward the NHL. His skill level is off the charts, and at 6-foot-3, he has all the tools of an impact center in today’s league. 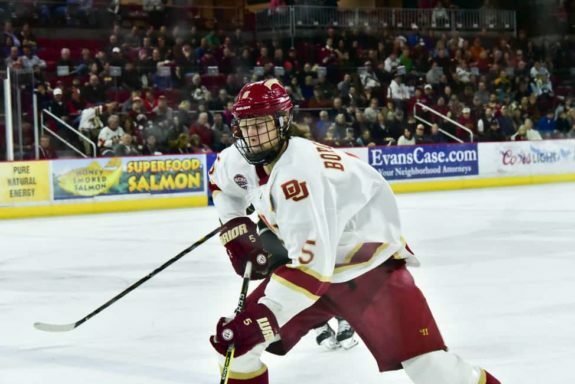 He qualified for Finland’s national team at the World Junior Championship in 2017 and was named a Hobey Baker finalist for the NCAA’s MVP last season. In two seasons at the University of Denver, he logged 95 points in 77 games. He comes with some defensive concerns, but Borgstrom made his NHL debut last season and will be given every opportunity to earn a regular, probably third-line center role with the Panthers this year. Left wing Adam Mascherin has been a consistent points machine for the Kitchener Rangers of the OHL. He amassed 267 of them in 197 games over the last three years. Unfortunately, he was unable to reach a contract agreement with Florida, and he reentered the draft this past summer. The Dallas Stars selected him 100th overall. The NHL is nothing new to Riley Stillman’s household as his father Corey played in over 1000 games during his career. 20 year old defenseman, Riley hopes to make a name for himself entering his first professional season at the AHL level. He has good size and performed very well at the Panthers’ development camp in June, but he’ll have plenty of time to develop and prove himself with the Springfield Thunderbirds. Maxim Mamin could be the hidden gem of this year’s draft. The Russian forward split time last season between the Panthers and Thunderbirds. He’s large, possesses excellent hockey sense, and is still early on in his development. In a fierce internal competition for roster spots, many expect him back in Florida’s bottom six for this season. Though Olesz probably falls into the group of Florida’s disappointing top-10 picks, he still managed a respectable career. He was fast and fun to watch with the puck on his stick but never quite developed into the right winger the Panthers could rely on. Plagued with an injury bug, he played 365 NHL games over eight seasons and recorded 134 points. At 32 years old, he currently plays for Vitkovice HC of the Czech Extraliga. David Booth was the Panthers’ prize of this draft. He showed more promise than fans could have hoped for upon entering the league in 2006-07. By his third season, he was a 30-goal scorer. The following year, he suffered two concussions from some ferocious hits from behind and missed the majority of the season. He played in parts of six more seasons after that, but was never quite able to regain his explosive speed or scoring touch. It was unfortunate to watch such a young and exciting career go wrong, but he finished (barring a return to the NHL) with 236 points in 530 games. At 33 years old, Horton’s career is all but over after suffering a back injury in 2014. He was a forward with a superstar scoring touch but never seemed to maintain superstar effort. He was not one to back-check often, although he enjoyed a successful NHL career. He recorded 421 points in 626 games and eclipsed the 20-goal plateau with regularity. He was a 2011 Stanley Cup champion with the Boston Bruins and remains fourth overall in Panthers all-time points. Stewart was never able to establish himself as a full-time NHL player. As a power forward, he struggled in his time with the Panthers and was shifted between the AHL and back multiple times through his career. His NHL career concluded with 71 points in 262 games and played across Europe from 2013 to 2016. Czech center Kamil Kreps spent parts of four seasons with the Panthers before spending the rest of his career in Europe. He was speedy, but never able to breakthrough as much more than a role player, recording 60 points in 232 games. Forward Tanner Glass does not score more than five goals per season, but he has enjoyed a long NHL career across six different teams as an enforcer. He finished last year with Calgary’s AHL program, and has recorded 658 penalty minutes in 527 games. 2014 was the second time in the Panthers short history that they were awarded the first overall pick. With it, they selected franchise defenseman Aaron Ekblad. Though 22 years old, the 6-foot-4 man-child has the poise of a 15-year NHL veteran. He has suffered a number of head injuries in his young career, but his skill is undeniable. When he’s on, he’s hard to stop. He utilizes his wrist shot from the point in a way that few others do. He flutters the puck two to three feet off the ground so accurately that if it doesn’t get tipped, it can still beat the goalie clean through traffic. He is confident when joining the offensive rush, and he has the size to separate the strongest of men from the puck. The Panthers heavily relied on him last year to play minutes in all situations and should hope for the same this season. He is entering his fifth year in the league and has so far posted 134 points in 309 games. Center Stephen Weiss played all but the final two seasons of his 13-year career with the Panthers. He was the face of the franchise during some of their worst years, as he was one of the few to record 40 or 50 points per season. He was one constant amidst years of mediocrity and instability. He retains first place in franchise games played and second in franchise points. His career numbers total to 423 points in 732 games. Krajicek was a reliable defenseman for parts of seven years in the NHL, totaling 328 games. He never quite transitioned into a faster, offensive playing style, but he was strong down low and recorded 245 penalty minutes. He currently plays for HC Oceláři Třinec in his home country of Czech Republic. Fellow Czech defenseman Ivan Majesky played for three different teams in three NHL seasons. His 6-foot-5 frame helped him record 234 penalty minutes in 202 games. He played in four different leagues across Europe before retiring in 2017. Center Rob Niedermayer was the Panthers’ prized selection of their inaugural entry draft. The younger brother of Hall-of-Fame defenseman Scott, he enjoyed his own share of NHL success. His best regular-season totals came as part of the Panthers’ 1996 team, recording 26 goals and 35 assists. After some head injuries, he was forced to transition into a more defensive, penalty-killing forward. Together with his brother, they helped lead the Anaheim Ducks to their first Stanley Cup championship in 2007. They would play in Anaheim for a total of four seasons together before Rob was signed by New Jersey in 2009. He recorded 469 points and 904 penalty minutes in 1153 games. Canadian goalie Kevin Weekes was able to get a wide scope of the NHL, playing for seven different teams during his 11 year career. His prime was in the early 2000’s when he was a starter for the Tampa Bay Lightning and Carolina Hurricanes. Weekes posted a career 0.903 save percentage in 348 games played. Today, he is still involved in hockey as a member of the media, and you can regularly find his face and analysis on NHL Network. Canadian gold medalist and two time All-Star Jay Bouwmeester is still enjoying a long career in the NHL despite an injury last season. He owns the fifth-longest consecutive games played streak in history at 737 games and second in Panthers all-time points among defensemen. He’s had tenures with the Panthers, Flames and St. Louis Blues for 1106 total games. His career began with some higher offensive totals, but he developed into a very reliable, top-pair, two-way defenseman over the years. Forward Greg Campbell spent the first five seasons of his career with the Panthers, then the next five with the Boston Bruins. His reputation is that of an effective penalty-killing fourth line forward, perhaps best known for breaking a leg and completing his shift against the Pittsburgh Penguins during the 2013 Eastern Conference Final. Gudbranson was the first selection of the Dale Tallon Era. He is gritty and at 6-foot-4, a good-sized defenseman. He played five seasons for the Panthers before being traded to the Canucks in the summer of 2016 for Jared McCann. He’s totaled 54 points and 399 penalty minutes over 391 games. Off the ice, he has a captain-quality demeanor. He was, and remains, popular among fans and teammates alike. On the ice however, he looks more awkward as the league goes in a progressively faster direction. Fifteen years ago, Gudbranson could have been elite. Today, it hurts to see some of the names selected after him, such as Cam Fowler and Vladimir Tarasenko. Bjugstad was the second of Tallon’s myriad of picks this summer. He’s developed into quite the role player for the current Panthers. After moving from center to wing, he enjoyed his most productive season last year after he spent the second half playing with Sasha Barkov. He has recorded 179 points in 362 NHL games so far. Though he may still be overvalued, the large forward is learning how to use his 6-foot-6 frame effectively. Development has been a bit slower than some may have liked, but he is poised to take another step forward this season. Quinton Howden was one of the fastest skaters in the league during his short tenure. The center was unable to ever earn a full time roster spot in the NHL however, and was frequently moved to and from the AHL. He logged just 17 points and 97 games before leaving for the KHL last season. Alex Petrovic has had his fair share of struggles in the NHL thus far. He’s usually in the way and sometimes manages to be in the other team’s way. He has maintained a fairly stable role as one of Florida’s bottom-pair defenseman and never hesitates to drop the gloves. He’s managed 48 points and 334 penalty minutes in 228 games. After being healthy scratched for a number of games last season, look for him to compete for his roster spot on the Panthers blue line again this year. Connor Brickley has been a bit of nomad through his career thus far. 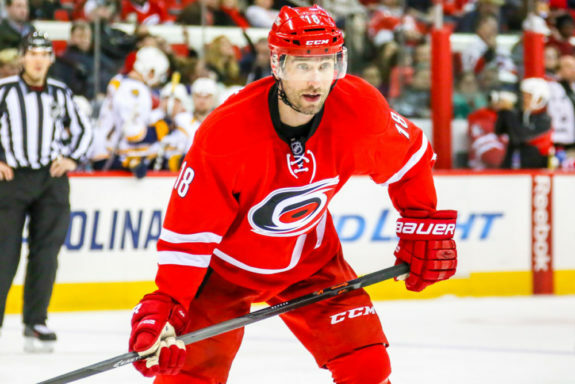 He has played in 67 NHL games over two seasons, all for the Panthers, but the forward has been bounced between four different organizations and their AHL affiliates for the better part of five seasons now. 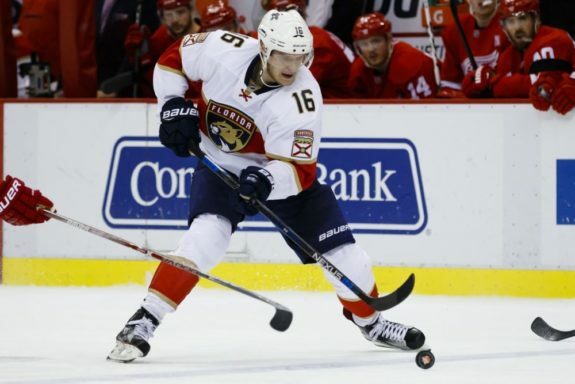 Donskoi and the Panthers were never able to come to a contract agreement after his selection. His rights expired and he finally signed with the San Jose Sharks in May of 2015. He broke out during the playoffs of his rookie season as he was an integral part of the Sharks’ run to the 2016 Stanley Cup Final. He’s a versatile winger who has logged 85 points in 203 regular-season games. Zach Hyman could be the one that got away. He too was never able to come to terms with the Panthers after being selected, and his rights were traded to Toronto in the summer of 2015. 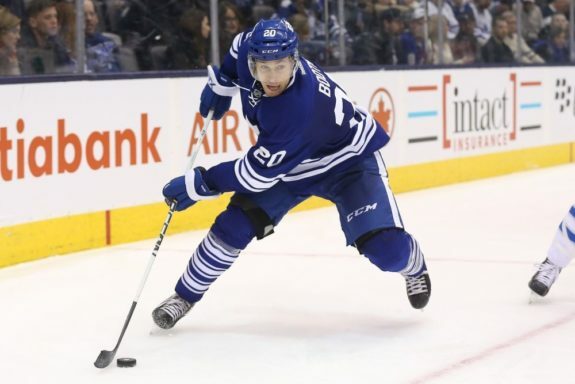 He spent just 59 games with the AHL’s Toronto Marlies before being given a chance in the NHL, and he’s never looked back. Today, he’s established a remarkable chemistry on the left side of Auston Matthews and has recorded 74 points in 180 games. If you’re measuring the sheer quantity of NHL players, this draft was by far the most fruitful. It’s hard not to hit a few times when you have 15 picks. While no one player from this class is elite, the volume of NHL talent is unmistakable. No other Panthers draft class turned out more than four significant players, and this one produced seven, earning it a top five spot on the countdown. Defenseman Ed Jovanovski was a force to reckoned with on a nightly basis during his career. He played in 1,128 games over the course of his 18 year career, totaling 500 points and 1491 penalty minutes. His biggest playoff success came in his rookie season when the 1995-96 Panthers blew through the Eastern Conference to reach the Stanley Cup Finals. It was the Year of the Rat, which Panthers fans revere whether they were there for it or not. Jovo Cop, along with Kevin Weekes, were part of a package traded to the Vancouver Canucks in January of 1999 in exchange for assets that included Pavel Bure and Bret Hedican. He spent his prime years playing in Vancouver, then in Phoenix after signing as a free agent in 2006. He returned to Florida in 2011, where he would play three more seasons and retire as their captain. Rhett Warrener was another rookie defenseman to play with the Panthers during their 1996 run to the Cup Finals. That same year, he was a gold medalist with Canada in the World Junior Championships. Relied upon more for his physical play than anything else, he logged 899 penalty minutes in 714 NHL games. Center Ryan Johnson usually had difficulty making it through a full NHL season, either due to injury or the occasional AHL stint, but he scored 122 points in 701 games over a few different teams as a third or fourth line forward. He currently works as the director of player development for his former team, the Vancouver Canucks, and is the general manager of their AHL affiliate, the Utica Comets. During his career, Dvorak was best known for his polarizing speed. He wasn’t a huge goal scorer, but he was a reason to watch and could freeze goaltenders and defensemen alike. He’s well liked among the Panthers community as he was a part of the 1996 Eastern Conference champion team in the first of his two stints in Florida. His most productive season was with the New York Rangers in 2000-01 when he put up 31 goals and 67 points. His career total came to 590 points in 1,260 games. Defenseman Daniel Tjarnqvist played six seasons in the NHL. Prior to his first season, he was traded from the Panthers to the Atlanta Thrashers in a package for goaltender Trevor Kidd. He totaled 90 points and 352 games. Peter Worrell was a bad, feared man during his years in the NHL. Anyone to cross him was lucky to leave the ice without some kind of physical pain. At 6-foot-7 and 230 pounds, it was difficult to find a formidable sparring partner. This made him fairly popular among Panthers faithful. He amassed 1554 penalty minutes and 46 points in 391 NHL games. Filip Kuba enjoyed a 836 game career between 1998 and 2013. The longevity of his career speaks to his incredible reliability as a defenseman who could be counted on for big minutes every night and some scoring on occasion. He tallied 333 points and averaged almost 23 minutes per game over 14 seasons. Barkov is already one of the best players to ever put on a Panthers sweater. At 23 years old, he finds himself ninth in franchise goals. The humble Finn is a true number-one center, and now, the Panthers’ youngest captain! His work ethic is infectious. His stick skills with and without the puck make every Panthers game, as far as I’m concerned, must-watch hockey. Somehow, he is on track to continue improving too. He is widely regarded as the next Anze Kopitar and yet one of the most underrated players in the league. The secret of Barkov is spreading quickly however, as he posted 78 points last season, for a total of 249 in 331 games. Barkov is elite and just entering his prime years. Ian McCoshen was drafted out of Boston College, where he developed some chemistry with fellow Panthers selection Mike Matheson. He was used mostly as a seventh defenseman last season, playing in 38 games, but it was valuable experience for the 23 year old. He is big and physical and has a good defensive mind, although he could still use some time to improve his decision making. Look for him to spend one more year in Springfield before, hopefully, making a full-time jump to the NHL in 2019. Weegar got his NHL chance in the final year of his entry level contract and was impressive in 60 games last season. He is a two-way defenseman with a lot of promise. He skates well and has an above average shot. Look for him to continue developing on Florida’s bottom pair this year. What’s better than drafting a superstar that can lead your team to the promised land? Drafting two of them. It may be bold to claim that two drafts with players that have yet to complete 400 games are superior to those that have produced Ed Jovanovski, Radek Dvorak, Filip Kuba, and the like, but it is a testament to the quality of players that are Barkov, Huberdeau, and Trocheck. Surrounded by the right supporting cast, these three can take the Panthers back to the Stanley Cup Final. Huberdeau has developed into a terrific winger in this league. He’s established chemistry early on with both Barkov and Trocheck, whom the Panthers hope to have around for a long time. He is a smooth skater with excellent offensive instincts and an impressive wrist shot. With 69 points, he had a breakout season last year and has a career total of 267 points in 385 games. He appears to be just entering his prime and is an important part of the Panthers’ core that they should try to keep together for a long time. Trocheck is the third part and second-line center to the Panthers three-headed offensive monster. Nightly, Trocheck sets the tone for his line and is a perfect complement to Barkov’s first unit. He is fearless, tenacious, and plays with obvious passion. He surpassed the 30 goal plateau for his first time last season and shows no signs of turning back soon. Like Barkov and Huberdeau, he is on the cusp of his prime. Trocheck has logged 212 points in 310 NHL games thus far. Logan Shaw is a Canadian center who has played for three NHL teams over the last three seasons. He’ll probably never crack the top six of a lineup, but he was forced into some heavy minutes last season when a couple of Anaheim’s centers went down with injury. Overall, he’s a reasonably good fourth line player and effective in the faceoff circle. He has 31 points to his name in 180 games. Pakarinen played on the wing for Edmonton in 134 contests between 2014 and 2018. 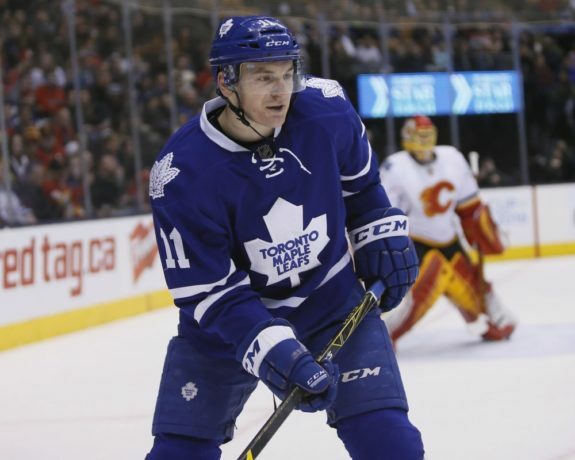 He has not been able to show any significant production in North America over the last few seasons, and is returning to Europe to play in the KHL this year.